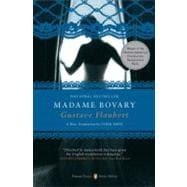 When published in 1857, "Madame Bovary" was embraced by bourgeois women who claimed it spoke to the frustrations of their lives. Davis's landmark translation gives new life in English to Flaubert's masterwork. Gustave Flaubert (1821-1880) was born in Rouen, France, and was brought to popular attention when Madame Bovary was deemed immoral by the French government. Lydia Davis-MacArthur Fellow, National Book Award finalist, and Chevalier of the Order of Arts and Letters-was awarded the 2003 French- American Foundation Translation Prize for her translation of Marcel Proust's Swann's Way. She lives near Albany, New York.